See your future differently from here. 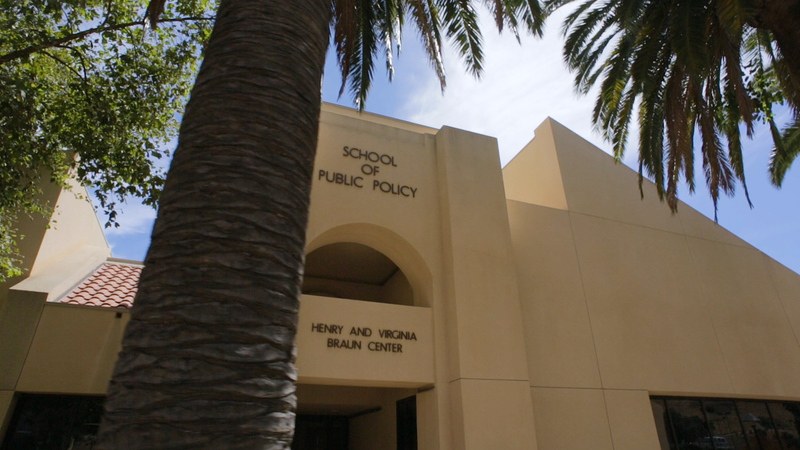 For an era marked by political polarization and distrust, the Pepperdine School of Public Policy prepares public leaders who can work across differences and across sectors to create sustainable policy solutions. We do this via America's unique graduate curriculum, balancing quantitative course work with rigorous study of the Great Ideas, equipping public leaders who analyze our toughest policy challenges historically and philosophically, as well as quantitatively. We call these kinds of leaders "Wavemakers"—those who seek ways to keep the "public" in public policy. Ready to be a Wavemaker? At Pepperdine University we believe in cross sector leadership where individuals can make a significant impact in the world and that a Master of Public Policy can be the first step. Promoting public engagement in policymaking, through training and consulting. Convening scholars and activists to explore the future of American conservatism. Supporting creative public problem-solving across government, business, and nonprofit sectors. Shaping public policy conversations through authorship and initiatives. I specifically chose Pepperdine because of the focus they put on taking what you learn in the program and applying it to improve society." Trump: Tragic Hero . . . or Just Tragic? American Project @ SPP: Is the 'Eggshell Culture' on Campus Moving Into Our Public Square?